Academic Personnel processes are essential to faculty and academic professional’s academic careers. This site provides an overview of college-level administration of policy and procedures affecting academic personnel. If you have any questions, please feel free to contact Maggie Olson. 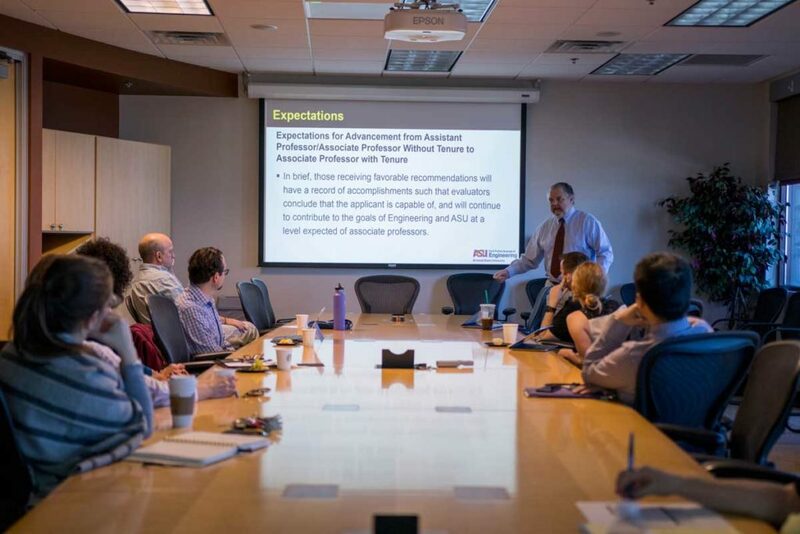 Vice Provost for Academic Personnel hosted site which provides forms, detailed information and instructions for each process: https://provost.asu.edu/academic-personnel/personnel-processes. provision of outstanding public or professional service at a local or national level. Should be done for all Faculty appointed at 50 percent FTE and greater, regardless of appointment category. Annual evaluations for faculty should be completed each year by the end of March. 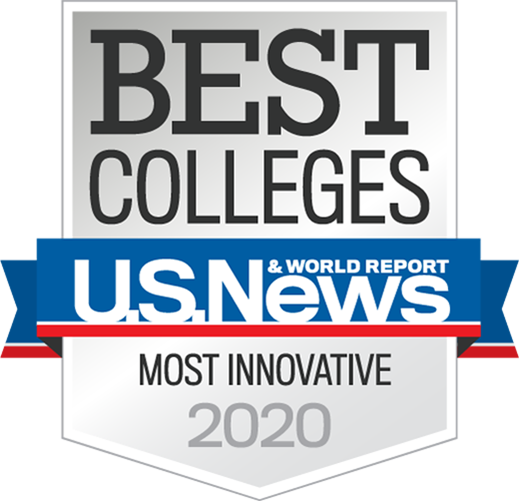 *This includes a summary page with your faculty scores along with signed top sheets. The review should cover the previous 36 months, with substantial emphasis on the current year. *This includes faculty who have taken leave during the previous 36 months. Please adjust the weighted averages appropriately. provide the evaluations of individual faculty to the Dean as may be required by college bylaws. 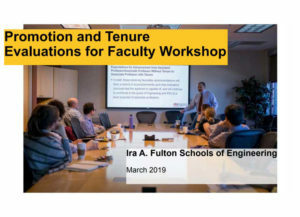 In addition to the meeting you have with the TT faculty member, and the performance evaluation that you normally write, you should provide written feedback about the “progress toward tenure”. This feedback can be contained in the same document of the performance evaluation, but it must be “distinct” from the performance evaluation language. For example, you can use a section heading or a subtitle differentiating the performance evaluation from the “progress toward tenure” feedback. In terms of content, the assessment of “progress towards tenure” should be evaluating the progress of the candidate toward a balanced set of achievements contributing as a whole to the development of her/his professional personality. In other words, beyond the usual quantitative analysis of the individual activities (papers, proposals, student evaluations, etc. ), the whole package needs to be well balanced.